The Google Aliens abducted my ChadSorianoPhotoBlog Youtube Channel and imposed their stylish Cosmic Panda redesign to my surprise this morning. This abduction phenomenon began like this. My 6 year old son woke me up from bed at 5am to alert me he had an "accident". After a quick load of soiled linens in my trusty Whirlpool Duet, I discovered paranormal activity on my "Canon1dm4" Youtube Channel before sunrise. A rub of my sleepy eyes and a swig of my morning coffee did not lessen the shock of this obvious experimental redesign of my Youtube Channel. Doubt and disbelief filled my mind by this foreign intrusion of my ChadSorianoPhotoBlog. A quick "Google" search of the subject revealed the truth to the conspiracy. 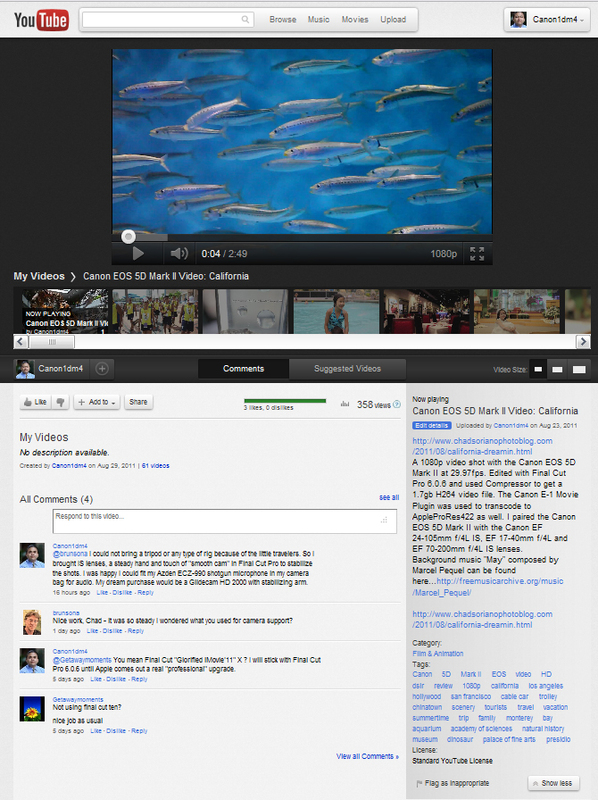 Over a month late to the news of "Cosmic Panda", Youtube's fresh and stylish redesign has mixed reviews. The new user interface, playlists, templates and other undiscovered features give a cleaner and simpler look in my opinion. 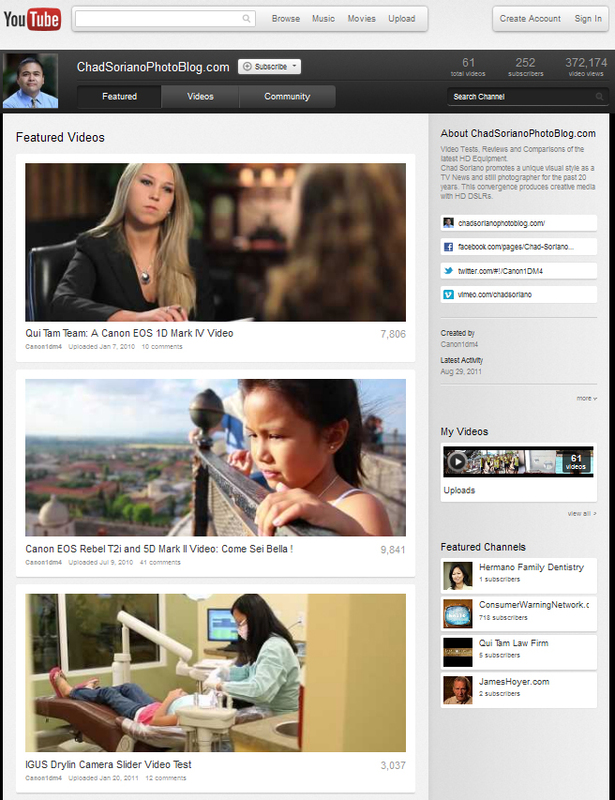 I embrace change, especially when my videos have better presentation with clearer thumbnails and an improved video player interface. Despite the lack of medical probing during this abduction, I am puzzled by Google's brief visit. 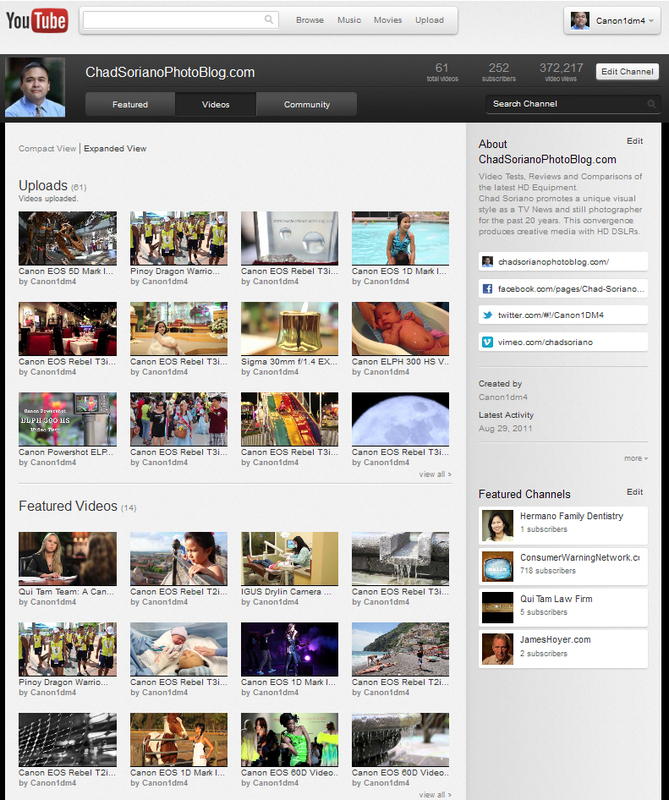 My ChadSorianoPhotoBlog Youtube Channel reverted back to normal 2 hours later. Hmmm...secret cover up? No, just Cosmic Panda.